Have you ever dreamt of riding the famous roads of the Tour de France? Well, your dreams of the Pyrenees won’t seem so far away in Culpeper County. 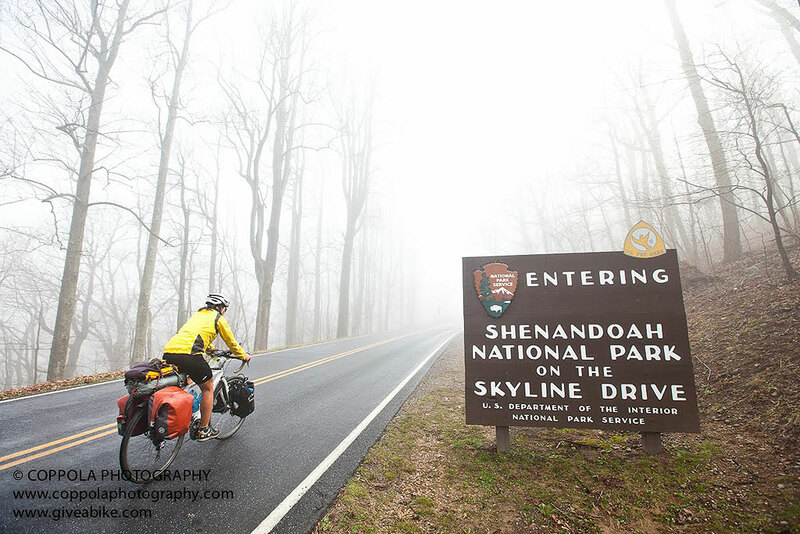 Skyline Drive, located only a short drive away from Culpeper, has all of the challenging climbs and thrilling descents to satisfy your cycling fantasies. Skyline Drive is a 105 mile National Scenic Byway which travels through the Shenandoah National Park. It runs from Front Royal to Waynesboro, winding back and forth through the ridges of the mountain range. Along the route you will find the breathtaking views, abundant wildlife and pleasant road conditions. On Skyline, there are 75 gorgeous overlooks which show views of both the eastern and western side of the mountain range. Other sights include many deer, hikers, and maybe the occasional bear! The speed limit is 35mph for the entirety of Skyline Drive, so traffic is tame. If you get the chance to ride on a weekday, take it! The traffic is usually extremely light on weekdays since most tourists come out on the weekends. With the leaves changing, Fall is perhaps the most beautiful season to ride Skyline, but be advised that it is the most popular time of the year for motorists as well. There are four main entrances to the park: Front Royal near Rt. 66 and 340, Thornton Gap at Rt. 211, Swift Run Gap at Rt. 33, and Rockfish Gap at Rt. 64 and Rt. 250. To get to Skyline Drive from Culpeper, drive on route 522 toward Sperryville. From there you will have the option of starting the ride in Sperryville and climbing 211 onto Skyline Drive, or you can choose to drive up to Panorama, located at the top of Thorton Gap. When you enter the park, you will be asked to pay an entrance fee of a few dollars. They offer weekly, annual and lifetime passes at different rates. From Sperryville, you will enter at Thorton Gap where you can choose to ride north toward Front Royal or south toward Waynesboro. For a long loop, you can descend down to Front Royal and head back in the valley on either side. You can also choose to ride south on Skyline toward Skyland, the highest point on the drive, or Big Meadows, the most developed area along the drive. Skyland is about 10 miles from Panorama and Big Meadows is another 10 miles from Skyland. Whichever route you choose, keep in mind that the terrain on Skyline Drive is challenging and you will not have as many food stops as you might be used to. Just be sure to prepare well and your ride will be unforgettable! Glad that got you excited! We love riding in Culpeper. Check out the Wednesday Night Ride schedule. Come on out and introduce yourself!